Folks are wringing their hands and clutching their pearls, because former Louisiana Governor (and now co-resident of Iowa and New Hampshire) Bobby Jindal used “official stationary” and a state-run website to say that Senator Rand Paul (R-Uranus) isn’t fit to be Commander-in-Chief. OK, let’s face it. Candidate Jindal is right. Paul is an idiot. But complaining that he’s running a campaign from the Governor’s Mansion is the wrong approach to the problem. Folks are outraged that a guy whose polling numbers are less than Carly Fiorina and Sarah Palin (who isn’t even running for the Republican nomination). He could easily argue that he’s not in the race, because he isn’t. Even the crazies of Iowa don’t take him seriously, so why is anyone in Louisiana? 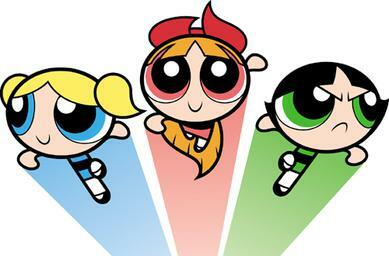 Comparing someone in Louisiana Government to the PowerPuff Girls makes Bubbles, Blossom and Buttercup sad.